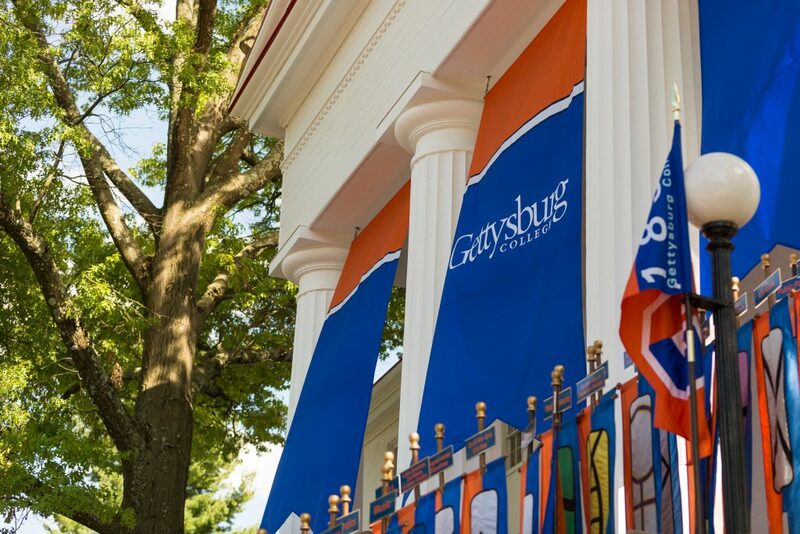 College Exceeds Reach Goal in Annual Gettysburgives Giving Challenge | The Gettysburgian. Instructions were scrawled across the back of the envelope: “Don’t open until February 27 [at] 9am,” a directive intended to ensure that the gift inside would count for the fourth annual 36-hour Gettysburgives challenge that was held from 9:00 a.m. on Feb. 27 until 9:00 p.m. on Feb. 28. 3,417 alumni, parents and friends of the college mailed in gifts, made their gift over the phone and gave online during the challenge to help the college unlock $1.1 million in match funding. In total, the annual Gettysburgives challenge raised $1,813,307. The challenge funds were pledged by a group of alumni and parents and were released when the the college reached two separate goals for new donations. The college’s initial goal of 2,760 donors was met in the early afternoon on Wednesday, unlocking $1 million in challenge funds and then a reach goal of 3,000 donors was met shortly before the end of the challenge Wednesday night, unlocking another $100,000. “During the Challenge, your gifts to the College will make an even greater impact,” an advertisement from the college read. This year, the college introduced a student and family challenge with the promise that the class with the most gifts at the end of the challenge will have their class flag flown on top of the Cupola from Mar. 1-9. The first-year class easily defeated the upperclass students with 412 donors supporting their class. The sophomores were in second place with 290 donors, and the juniors and seniors were neck and neck with 197 and 215 donors, respectively. Brandon Davis, Assistant Director of Annual Giving for Student Programs, applauded the support from current students and their parents during the challenge and stressed the importance of gifts and engagement from current students and their families. Not all students appreciated another request for money from the college. The Class of 1968, now in their 50th reunion year, took first place in the reunion year challenge, and the softball team dominated the Bullets sports teams challenge and earned a $2,500 prize for their team. The college had a challenge of 100 new sustaining gifts (gifts that have no definite end date) but fell short of that goal, receiving only 74 new sustaining gifts.